The past fortnight's worth of Facebook posts have left me seriously re-considering my relationship with Mark Zuckerberg & Company. What worked for me six or seven years is not only NOT working today, it's becoming a royal pain. I reached a personal FB tipping point this past holiday season when the sheer volume of utter nonsense reached truly epic proportions. One FB friend must have posted 2,013 New Year's resolutions (and that was in just one hour!). Another felt compelled to post motivational quotes on a minute-by-minute basis beginning at 12:01am on December 31nd and culminating at midnight on January 1st. She did succeed in motivating me, though: I de-friended her. And, then there were the countless Happy New Year greetings themselves. I limit my greetings to one-on-one handshakes, phone calls and e-mails. I don't think the 600 or so souls with whom I'm linked on FB want yet another New Year's greeting from me. Or, maybe they do. I DO like the rare videos, unexpected observations and family updates (from families I know). But, Facebook is rapidly becoming spam to me. And, I know I'm not alone. So, I think the one New Year's resolution I'll share is this: I intend to de-friend all those friends who have bombarded me with rants, raves, photographs of complete strangers and vistas of sunsets enjoyed by a couple I've never met. I think FB should become more Amazon-like in its customer experience. They should take the time to find out what comments I DO respond to (and/or post) and suggest I connect with new friends with similar interests: history, climbing, comedy and strategic communications, for example. 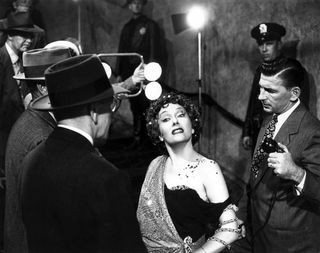 Facebook reminds me of the Gloria Swanson character in Sunset Boulevard who spends her time watching old, silent movies in which she starred. Zuckerberg & Company need to embrace the future or they'll soon find themselves a part of the past. It's just a matter of time before someone else figures out there's a fine line between sharing valuable, fun information and simple, old spam. Oh, and Happy New Year, Mark! I’ll bet many do. Happily, though, the FB offenders don’t have my home address. Otherwise, I’m sure I would be hearing all about Little Ward’s acceptance into Iowa’s most elite pre-school. That’s beautiful. One of my favorites came from a complete stranger with whom I’m FB friends (no idea how that happened). But, ‘Dave’ posted a photo of the sunset from his balcony overlooking Mobile Bay. This is Mobile, Alabama, mind you. I was looking for a BP logo on the horizon. She then proceeded to cancel, at the last minute, plans made weeks ago. I’m not sure which bothered me the most this past holiday season: the inspirational sayings, the videos of The New Christy Minstrels from the Donny & Marie Show circa 1972 or the rants about Fiscal Cliff inertia. Ditto. I’m fed up. I would gladly pay if it meant no more ads or unsolicited posts.